Imported from Japan, we offer PET 1000 & PET 1100, Engine pulse tachometer, used to measure RPM for 2 wheeler and 4 wheeler automobile industry. The device is best available in market, known for its accurate measurement and longer functional life. 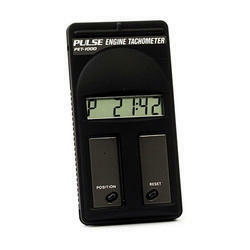 We are deal in Oppama Engine Pulse Tachometer Pet 1010R. 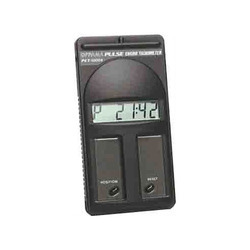 This is the high capacity type tachometer that supports multicylinder engine in addition to the functions of PET-2000DXR. Dedicated to gasoline engine of 2-stroke 1 to 4-cylinder, 4-stroke 1 to 6, 8-cylinder. •Antenna lead wire (1.2m) included. Mounted type.